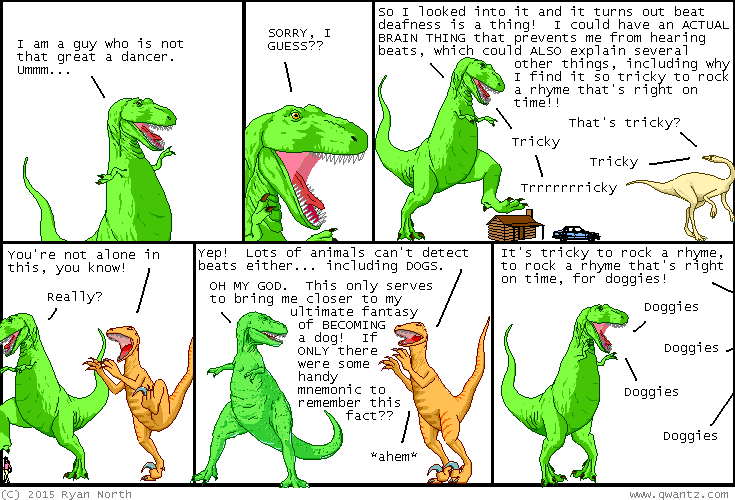 Dinosaur Comics - January 27th, 2015 - awesome fun times! –Therefore, inside pi is contained every discovery and every work of art! January 27th, 2015: Here, I will save you some time!